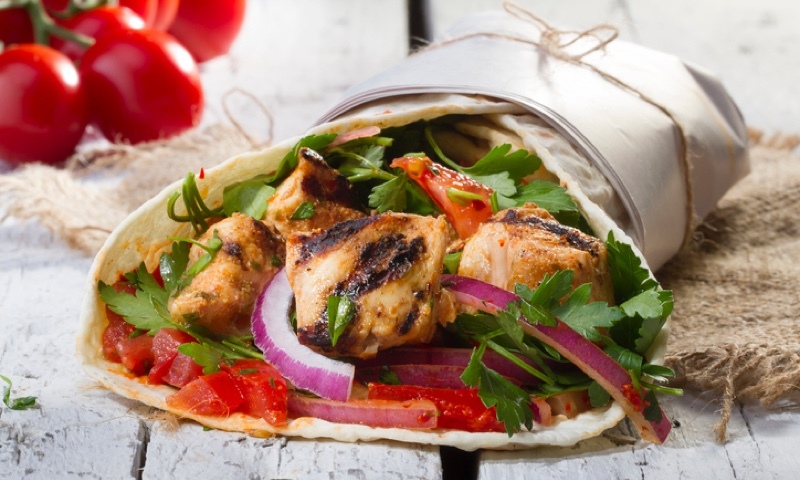 Wrapped in grilled pita bread with lettuce, tomatoes, and onions. Topped with house tzatziki sauce. Sliced gyro meat (mixture of lamb and beef) served with rice, hummus, pita bread, house tzatziki sauce, and choice of side. Grilled chicken breast served with rice, hummus, pita bread, house tzatziki sauce, and choice of side. Served with a side of Greek salad, sponokopita, 2 falafels, 2 veggie dolmas, hummus, babaganush, tabule, pita bread, and a side of house tzatziki sauce. This is the best Greek food I've had outside of Santa Cruz. They clearly have it down to a science. It was very fresh and delicious with tender cuts of meat. The food traveled well, separated nicely in mostly biodegradable packaging. Kalita's is my favorite Mediterranean restaurant I order from on Grubhub. It's consistently fresh and delicious. My delivery driver was on time and had excellent vibes and a big smile! I order from this place almost once a week! My food came in less than 20 minutes! Everything tasted incredibly fresh and authentic. I cannot believe I'd never heard of this little, Greek gem. I will absolutely order from here again. The packaging was all compostable too! The portions were generous and the food was well packaged for delivery. I had the dolmades with meat, they were good...but very salty. Not sure I would order them again, but I would try something else. The veggie platter is a good deal, given how much it includes. I've never gotten spanakopita with a falafel platter before. We also got the fries with garlic and feta, and they were great. Whether you're craving a quick bite or looking to treat yourself to a delicious meal, you can now order your Kalita Grill Greek Cafe favorites for takeout or delivery.